Try our new Katherine’s Landing boat rentals and watercraft services at this nice Marina and Resort. This marina is the most popular destination for most vacationers going to Lake Mohave. Enjoy our surf boat rentals, jet ski rental, waverunners, sea doo’s, PWC personal watercraft rentals, wakeboard lessons, water skiing, kneeboarding, wakesurf instruction, lake tours, fishermen, campers and rivers. Katherine’s Landing is located on the Arizona side of the Colorado River in the Lake Mead National Recreational Area, which is administered by the United State National Park Service, upstream from the Davis Dam. Katherine Landing is only 7 or 8 miles from Bullhead City, AZ and closest to Laughlin, NV. Katherine’s Landing has all the admeniteis and accommodations one would need to have a great vacation at Lake Mohave with hotel, restaurant, store, gas, houseboat rentals, casino rooms, and guided tour services. 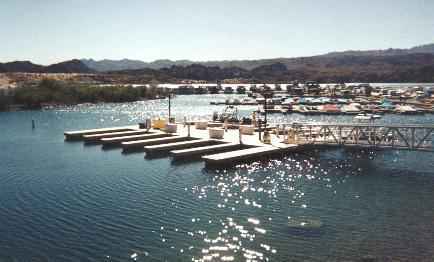 You can also rent watercraft right below Davis Dam on the river side of Lake Mohave right in front of all the casino’s.